We have the unique selection of Modern Photo Art. Our wall hangings are ideal for homes, offices, restaurants, hotels or showroom. The high-quality art photos are printed on vinyl which empowers long-standing colors and makes the entire photo set washable. AHS Fixtures art collection is based on the idea of photo sets - we either divide one art picture into few panels or reversely select unique motives to become a matching photo art set. Each set contains 2, 3, 4 or 5 photos of same size (e.g. 3 panels of 600mm x 600mm). - All square panels are available as a 400 x 400 or 600 x 600 mm. - Most vertical/horizontal panels are available in 400 x 1200 or 600 x 1800 mm. Our photo art is produced using high quality materials. Each photo art is individually pasted onto a sealed solid wooden frame, giving each photo art durability and protection from sun, humidity and dust. This allows you to clean the photo art without worrying about damaging your art piece. This picture collection is produced with long-lasting enviromental friendly inks. 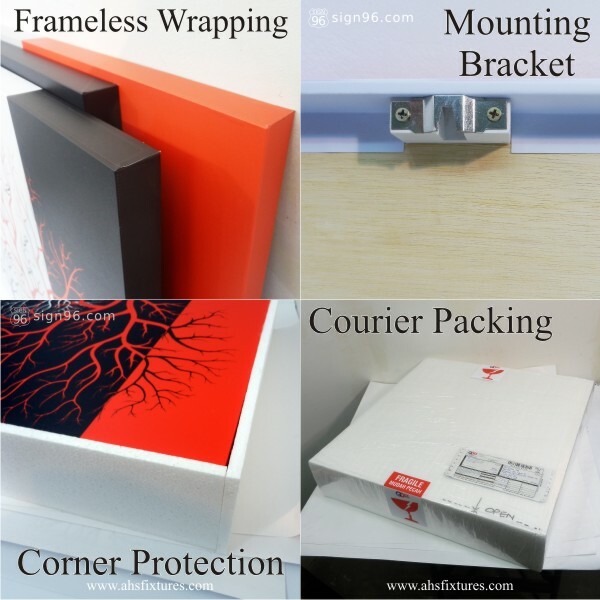 To protect our photo art from damage due to shipping, each photo art is put into a protecting foam bag and then entered into a box. Each box contains the hooks and screws necessary to hang our photo art onto your walls. Dimensions : 600 X 600 mm. Each Panel As a most popular form of decorative painting, frameless painting breaks away from the shackles of the border. It is free flowing, more and more popular for the performance of no arrest, no bind and frameless. 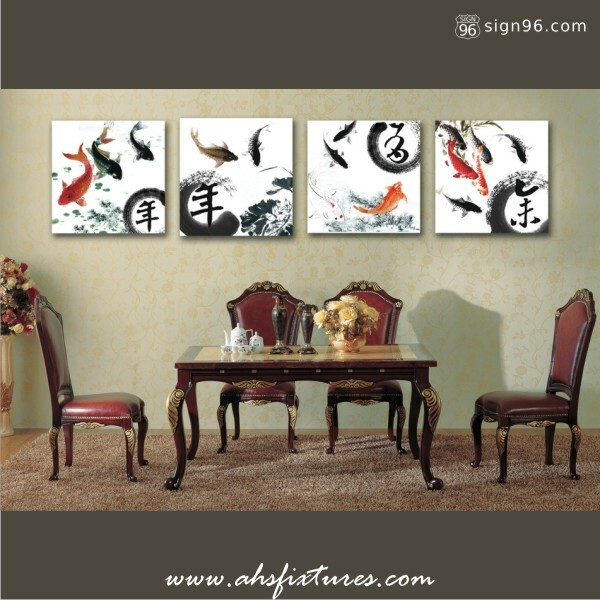 It is modern and fashion, most of the pictures are suitable for the simple style of home decoration. When installing, the distance of each piece should be kept between 2-3cm in order to reach the best effect.